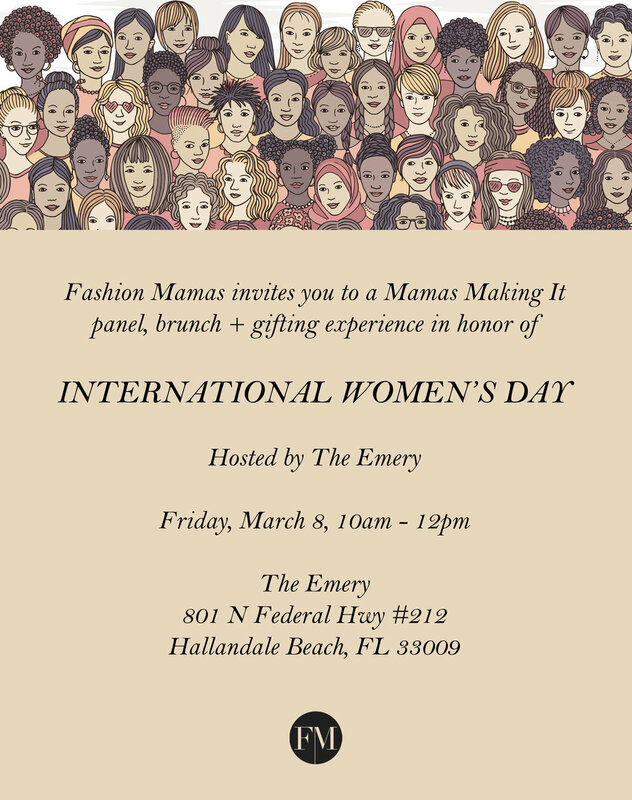 We invite you to check out what all of the Emery Ladies have to offer while enjoying an amazing day of pampering, fitness, and treats. The Event will include complimentary Yoga, Meditation, Hair-styling, Mini Facials, Eyebrow threading, and a market to shop for gifts all while enjoying lite bites. So ladies come with your friends, mothers, grandmothers, aunts, sisters and daughters and enjoy a luxurious day to treat yourself! This event is open to all women in the community. If you would like to partake in our complimentary spa services please book a time slot below. Space for those services are limited. If you are interested in doing mat yoga we have two times available 10am-11am and 1pm-2pm. Please email Liza@the-emery if you want to sign up for yoga. (space limited). Join us for an incredible morning with world renowned motivational speaker Denise Bar Aharon, the CEO and Founder of Make a Wish Israel. Through Denise's personal story you will be inspired and excited to live life to the fullest and make your personal and professional dreams come true! From a very successful multi-million dollar fashion agency, Denise is now one of the leading philanthropists in Israel. She will share with us how one can easily transform your life in a moment. Forge relationships with the most influential people from mayors, to movie-stars, to influencers. Today her drive comes from knowing that anything in life is possible She will share how important it is to listen to your Ah Ha moments, hold on to them and do something with them. She lives her life with excitement about what is yet to come. Purchase a ticket to this event which includes a day pass to our space. We all know that networking is the key to success. We need to meet people in order to grow in business. However time is valuable and sometimes there aren’t enough hours in the day. Let’s get face to face. Join us for our first Speed Biz event, to make incredible connections and meet with with many awesome, business women, all in an hour. Held in our beautiful emery café, this is one event you wont want to miss. Having work/life balance is a challenge for most and as working women having all the extra tasks to fit into our already busy lives it can be a challenge to handle stress levels, emotions and a positive outlook. Helen will teach insights to empower you to recognize your emotional responses to daily life and give you tools to be able to use immediately to get you back on track. These tools are easy to use and if you have children or care for someone you can teach them also to help them through their busy school schedules. Creating balance helps you stay mentally alert, emotionally strong and motivated to achieve all you can. House of Lilac has grown exponentially becuase of Melanie's game changing Marketing Strategy! Join us for a Lunch & Learn to hear her story and how she incorporated Video Marketing to uplevel her business and gain tons of traffic to her website. The use of Video Marketing has turned her viewers into customers and she'll be sharing all of her tips with us! Melanie is an inspiration to so many Women and we are so excited to have her share her journey at The Emery. Enjoy an elegant Lunch at The Emery Café! Get your elevator pitch ready and connect with your fellow Emery Members all while enjoying Lunch at The Emery Café! Women are INCREDIBLE. It seems like we do it all, all the time, for everyone. However, professional and entrepreneurial women seem to hold back when it comes to promoting themselves and their business. If you’ve ever felt yourself backing down when you know you should be ramping up to promote yourself for your next promotion — to close that big sale — or to share your big idea this work shop is for you!! Don’t settle when you know you are worth more. Come learn tricks from sales leader, Leah, to always feel your most confident and close your next sale . Leah’s enthusiasm and tenacity bleed into every aspect of her life. She views sales as a way to serve the people she interacts with and help them solve their biggest problems. She’s been in sales at various levels, from being a sales leader at a Forbes 100 corporation to leading sales at a small start up, and also in the consulting world. She’s sold services, products, and technology. The one common theme is this: sales isn’t about numbers, it’s about serving people. She graduated from Davenport University with her B.A. with a specialty on global strategy. 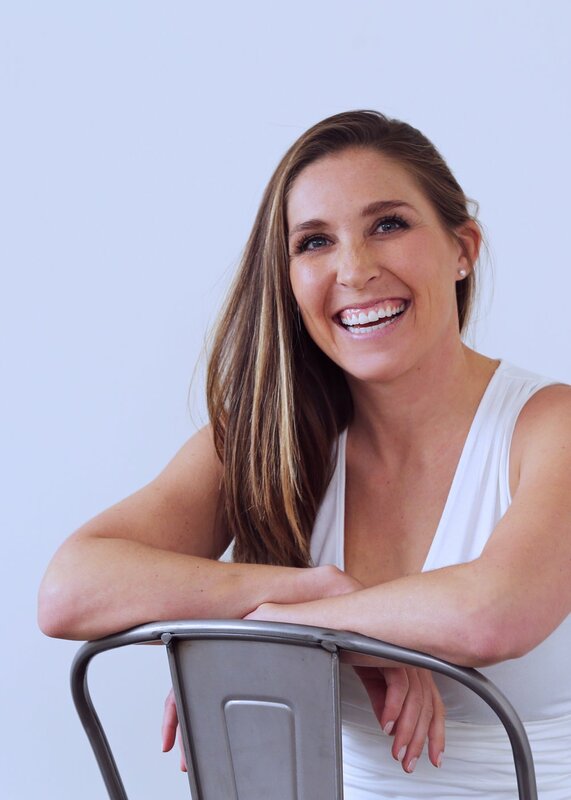 Leah is also the host of the Shine Strong podcast, a podcast providing encouragement for professional and entrepreneurial women to get unstuck and learn to chase wildly after their best self. Members FREE. Can attend in person or use zoom link to view from home. Non members can purchase a ticket to attend in person. Ready to take your Social Media to the next level?! Join us at The Emery and learn from top Marketing and Social Media Strategists on how to maximize your online presence and social media influence and reach your target market. Missed Let's Get Social Part 1 & 2?, not to worry, you will get all of the incredible insight and so much more! And if you attended "Let's Get Social 1 & 2" you know that you DO NOT want to miss this event! To attend The Let's Get Social Part 3 event you must be an Emery member. Ever wondered what to do once you have a signed contract or perhaps why you need a title company at all? Or perhaps you are a seasoned investor that is looking for ways to save money and streamline the process. Join us as we discuss all things Title! Estie Leavitt- Azulay owner of Florida Title Center - FIRPTA and how that can impact your bottom line. Amber Lynch from Independence Title -The role of a title company in a real estate transaction and cover the difference between a lien search and a title search. Dvora Weinreb - Real Estate Attorney ( Florida Title Center off consult) - Probate issues in real estate transactions. Building relationships is the key to success in this business. This event is for all levels of real estate professionals. Tarin Ward-is a single mom of 3 beautiful daughters. She has been investing in real estate for several years. Tarin runs Women Wholesaling Houses with Alyssa Rispoli. WWH is a facebook group of women real estate professionals. We are a national community of women empowering women through Real Estate, by adding and contributing value, knowledge, information, nation wide networking, inspiration, and support. coordinates meetups in several cities South Florida, Dallas, St. Louis and Philly to name a few. Tarin is affiliated with BREIA ( Broward Real Estate Investors Association) and has been recognized many times for her work with homeowners. She has studied creative financing, lease options, buying multi family, and many others. In her spare time she coaches communication course through Landmark Forum. Esther Leavitt- Azulay has owned and operated Florida Title Center, LLC. and its predecessor in the Real estate Title industry since 2009.Esther is licensed attorney with the Israel bar association and a licensed Title Agent in the State of Florida. She attended Tel Aviv University where she graduated with a Master at Law in Real Estate Studies. After graduating in 2009, Mrs. Leavitt-Azulay secured employment with Israel's Court as an attorney where she gained wide away of experience in fields such as contract dispute and Real Estate law.As the head of Florida Title Center, she is responsible for corporate finance, company staff performance, and customer satisfaction from buyers, sellers, Real Estate agents and lenders. Jacqueline Sarmiento -decided to change her career path from nursing to Title and has been full time in the industry since 2003. Later in her career she had the good fortune to be hired by Independence Title owned by Kevin Tacher. It was there that she was introduced to the Wholesaling Industry as we closed many of these transactions. Because Independence Title is an investor friendly Title Company, I was able to attain invaluable knowledge that I was able to develop and take with me in my further career endeavors. 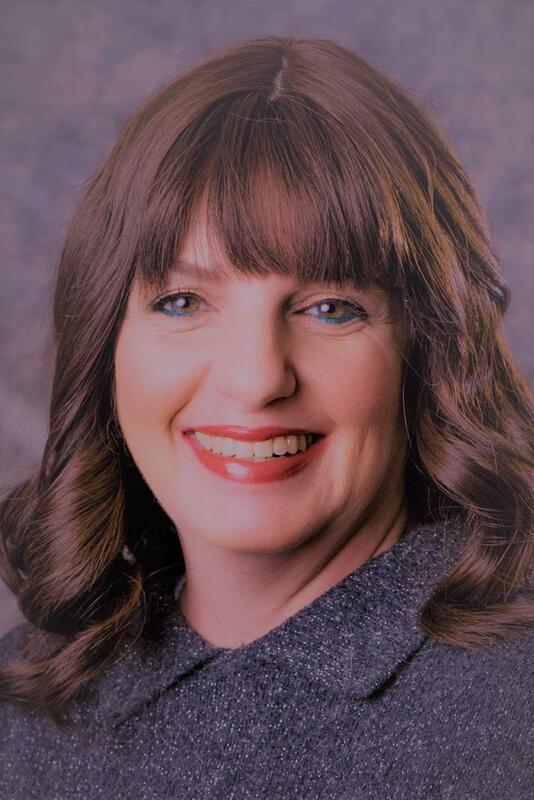 Today she works with Title Connect, LLC and has been able to continue performing in an industry that gives her great satisfaction and that she has a passion for. Now that you have defined your Niche and understand your brand’s identity, it’s time to design your website! Join founder Aileen Lavin, as she shares with you tips and tools to create a beautiful website using Squarespace. In this interactive workshop, she will show you how she created The Emery website herself and how you too can build your own website from start to finish. Not a member just yet? You can purchase a ticket to this workshop which includes a same day pass to work from our beautiful space. For small businesses, brand partnerships can be an incredibly valuable and cost-effective marketing tool. 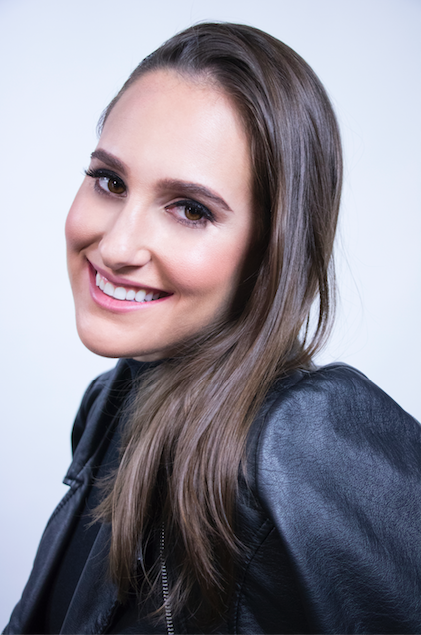 Learn from Angela Amendola, a seasoned expert who has overseen brand partnerships for major brands like Glamsquad and Lilly Pulitzer, on how to identify and utilize brand partners to increase exposure, reach new audiences and elevate your brand. Speaking in public is one of the most terrifying things for a lot of people. However, presenting is part of business and there is no substitution for being prepared. Getting your point across effectively and using props, video and PowerPoint are all elements of presenting. Join Emery Member Helen Vella in this interactive workshop where she help you to discover what your presentation style is and how the audience is influenced by it. You will leave this workshop more prepared then ever and with the necessary tools to help you give an exciting and effective presentation. Optimize Your LinkedIn and WIN! Many know that LinkedIn is how you can generate leads and build a pipeline but few realize how to actually use it so that your leads work for you. Are you a creative entrepreneur that uses systems such as, Excel, Shopify and QuickBooks in your business? If you are a business with a website looking to automate daily sales entries, we want to help you. If a specific process is taking up a large chunk of your time, there is most likely a more efficient way to get that process done! Let’s make sure that you are maximizing all of the efficiencies built into what you are currently using. SOUTH FLORIDAS TOP WOMEN IN REAL ESATE SHARE THEIR SOCIAL MEDIA & VIDEO MARKETING SECRETS Join us for an incredible panel discussion featuring Bethany Martinez, Rochelle LeCavalier & Tiffany Pantozzi. Our boss ladies will focus on how to Generate Leads, Land Clients and Close Deals. Your website has 15 seconds to capture the attention of its visitors. Learn from Jenni Schwartz as she provides insight on Web Design best practices that engage users and drive results! You wont want to miss this beneficial workshop! Bring your notebooks and be ready to learn something new! Melissa Frantz, founder of Event Village, has produced workshops for over 20 years. She has worked with vendors and start-ups that aspire to scale and grow. This workshop was created to help you connect with your audience and convert them into paying customers. Can we fluff your pillow? Let's share a complimentary champagne brunch, while we explore the timeless positioning strategies you need to make your brand feel high-end. You've probably got a logo and a website, but do you know how to quickly place yourself in a category of one? We'll give you a hint: Imagine a five-star restaurant. You need reservations. There’s herbed-butter and never any rush. The patrons don’t shop on price. They shop on pleasure. It's called brand positioning. You have credibility, but now you can see it. In this complimentary brunch & learn, with Julie Cabezas and Samantha Loomis Co-Founders, IDEAL - Personal Branding Agency you'll learn how to give your brand that wow-factor that makes customers say to themselves "I deserve to treat myself to something special." Leah LeRae is passionate about sales! She’s seen so many women shy away from selling their product, so she developed a Sales Training Workshop to help women conquer their fears of selling and ensure that they feel proud and empowered when closing a deal. Join us for a live training session as Leah dives dips into her 10 tangible tips that you can take with you into your business today!